Today, October 25, the European Parliament adopted a resolution on Russia's violation of international law in the Sea of Azov. The resolution calls on EU Member States to make it clear that targeted sanctions against Russia will be strengthened in the event of further escalation of the conflict in the Sea of Azov. The resolution contains a paragraph on the creation of a special representative of the European Union on the Crimea and Donbas, which will work around the situation in the Sea of Azov. The resolution also emphasized the danger of using Russia's oil and gas fields in the Sea of Azov "once it achieves its aim of transforming it into an internal lake within the Russian Federation." European Parliamentarians stressed that Russia had built the Kerch Bridge illegally. The European Commission was called on to verify the EU's restrictive measures with regard to European companies that took part in its construction. The EU Council has called for Russia to immediately stop the inspection of the vessels, as well as to consider countermeasures in this regard. The resolution says that Russia frequently and in an abusive manner blocks and inspects ships going through the Kerch Strait sailing to or from Ukrainian ports. In Twitter the President of Ukraine Petro Poroshenko expresses gratitude to parliamentarians for their calling for additional sanctions against Russia. 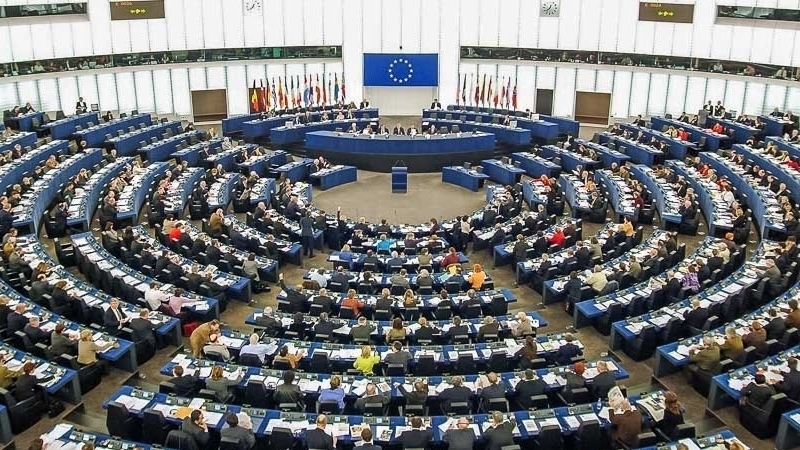 October 24 Members of the European Parliament discussed Russia's violation of norms of international law in the waters of the Azov Sea. Most European parliamentarians said that Russia is fueling a new conflict in Azov, and that additional sanctions should be imposed to prevent it. On October 24, Russia deployed two warships to the Sea of Azov, according to the reports of the State Border Service of Ukraine. The total number of Russian ships and boats at Azov has reached 120.